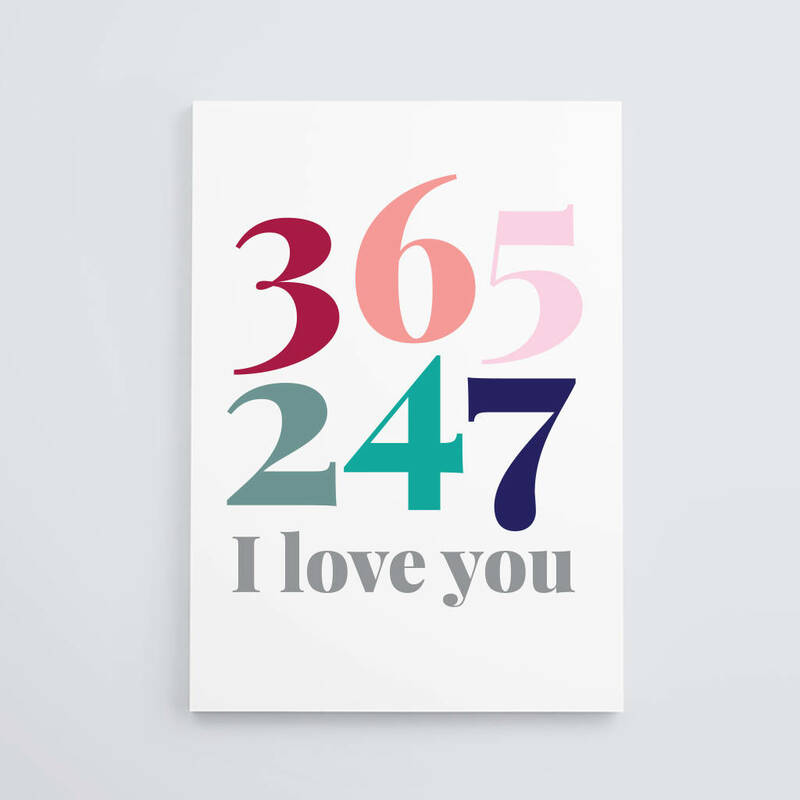 All the days and hours I LOVE YOU typographic and romantic card for Valentines, Anniversaries, Christmas or New Year. 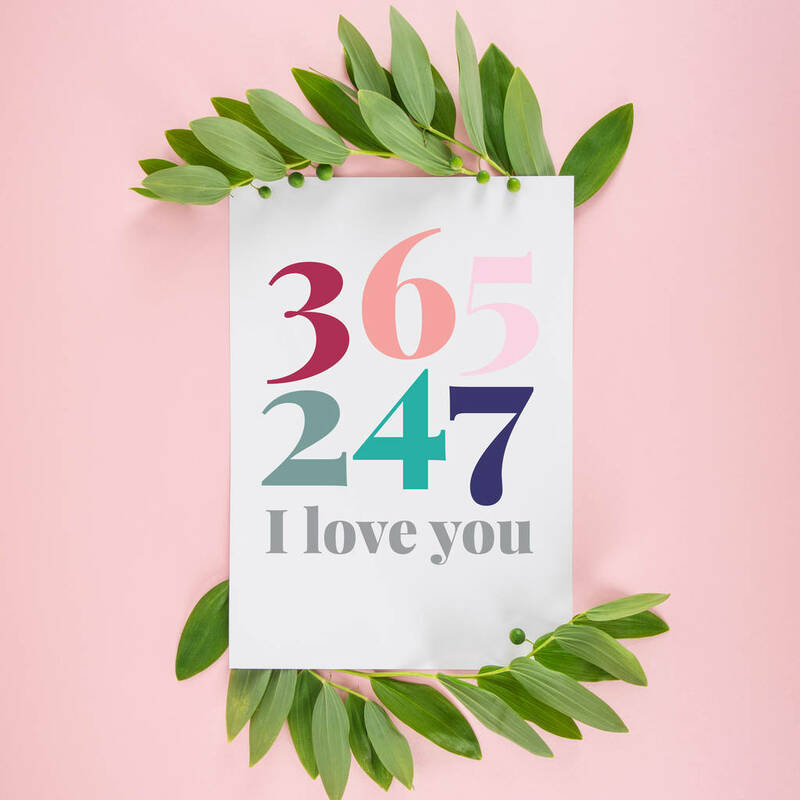 Let that special person know that you will love them 365 days a year, 24 hours a day, 7 days a week with this beautifully designed typographic card. Tired of overly sentimental cards? 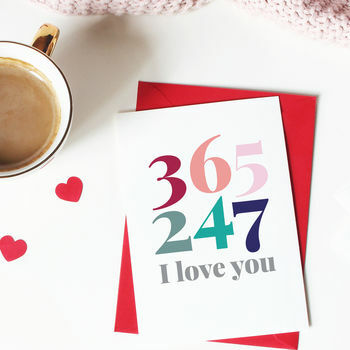 Simple and striking, this card is the perfect way to elegantly express your feelings. Perfect for any romantic occasion such as Valentine's day or an anniversary. The ideal card to help you pop the question, or to give to your loved on on your wedding day.